Who says carving pumpkins is the only way to make them decorative for the season? I shared with you guys the other day that I am not a fan of Halloween. But while the goolish and costume yielding holiday is not my thing, I still love pumpkins. Who says that pumpkins are just for Halloween anyway? You know how I have three kids? You would think with that being the case that I would be carving pumpkins every year right? Confession: Not true! up until last year, I never did pumpkin carving. BEcause thanks to the awesomeness that is known as my momma, she always did those kinds of things with my kids. It wasn't until we moved that I was like OH SHOOT, now who gone do it? So last year I did the full-blown pumpkin thing with the kids, but this year, I haven't decided. But as I was debating on what I wanted to do this year, I started trying to think of other creative ways to do pumpkins without having to carve and remove the guts from them. 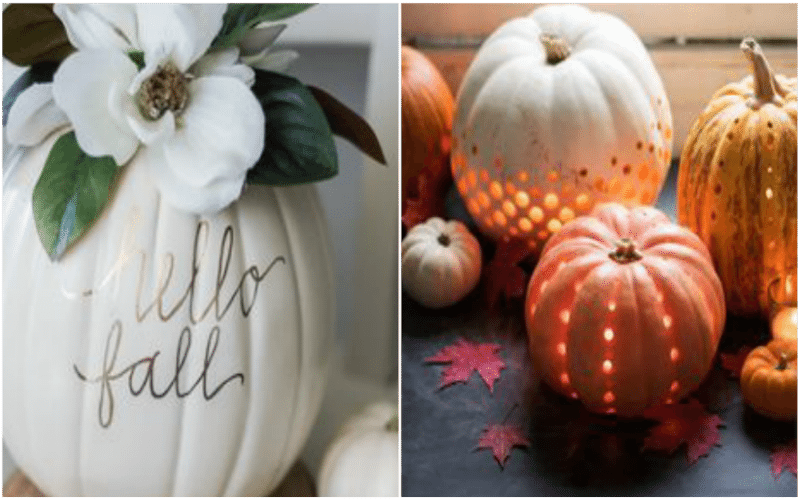 If you are like me and would rather not, here are some pretty awesome ideas to decorate your pumpkins this year! How cute is this? 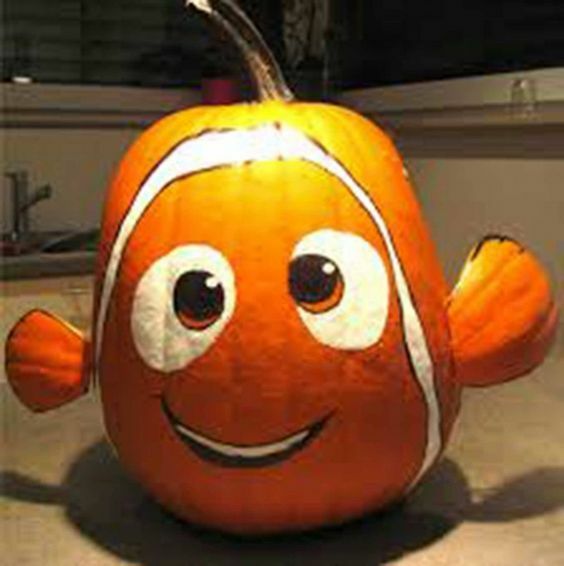 While I am pretty sure my artistic abilities would not lead to a pumpkin this cute. It most certainly is worth the try. 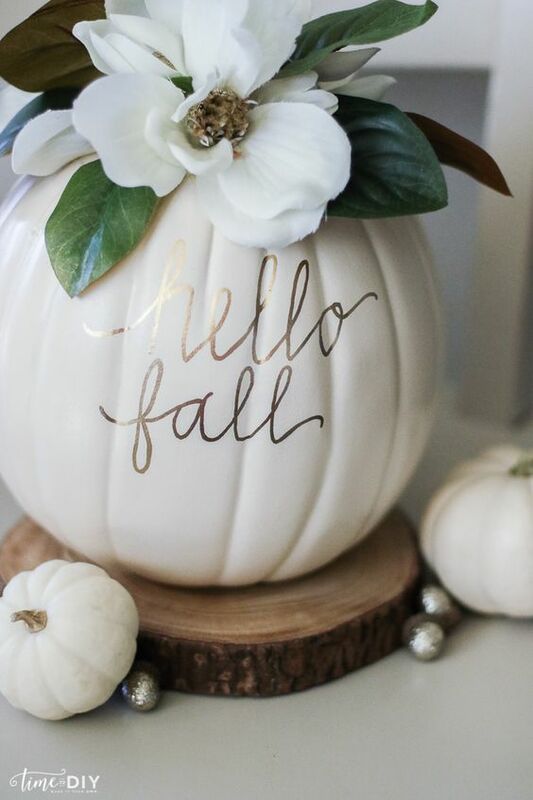 I think this is a super chic and cute idea for pumpkin decor fun. I dont know that my kids would get their thrills off of this. But I think momma would sure enjoy! I like this idea, but I keep picturing the mess my littlest one would make doing this. Play clothes, drop cloths, and a bucket of water would have to be on hand for this one! I love the finished look here. But I feel like this would be one of those projects that I underestimate the complexity of it. Working with glue and beads can be really hard. I am not sure if these are glued, but it would be my guess. I could totally do this, and I think I just might! Cute and simple! Love it! The simplistic beauty of this one makes me want it. It also has that farmhouse vibe that I love soooooo much! Drills? I have drills and plenty of bits. I could totally make this happen. Only thing is I think it still involves having to pull out the guts… UGH! This is the simplest of them all. If you are looking to do something cute, that does not take a lot of time. THIS> IS> IT!!! So there you have it! 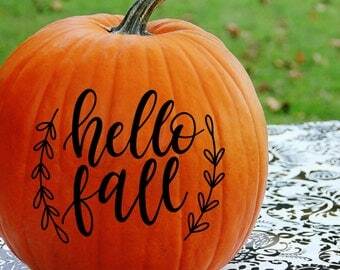 It's the first week of October and still plenty time to get your pumpkin on! Go be great friends! 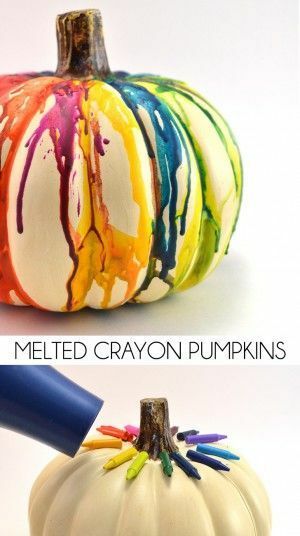 And you can do it without carving pumpkins!